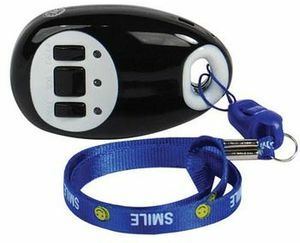 Small and powerful tracking device that is developed for personal positioning, pet monitoring, vehicle, security etc. The MINI GPS TRACKER works based on an existing GSM /GPRS network and GPS satellites, this tracker is a small and powerful tracking device that is developed for personal positioning, pet monitoring, vehicle, security etc. Not only transmitting the longitude and latitude coordinate to your cell phone by text message (SMS), but also transmitting the longitude and latitude coordinate to your PC and display the location using specific mapping software. The Mini GPS Tracker is a tracking device with built-in GPS and GSM/GPRS technology in compact size. It can be used for anti-theft of the vehicle/heavy equipment, protecting children, older loved ones, pets and personnel management etc. All you need to do to activate is get your cell phone company to add a number to your service and send you a sim card for the new number. You will use this number and sim card to communicate with your tracker. The tracker is easy to set up by texting all your settings to the device. You may also use the software to make changes if needed. When you want to find out where the unit is all you have to do is call or text it then it will text you a link that will give you the speed the device is traveling and with show you on a map where the unit is. The Mini GPS tracker has a call in feature that allows you to call the unit and listen to anything within 8 feet of the device. It will alarm if it breaches the restricted area, SOS function: It sends a help message if SOS button is pressed, Speeding alarm: It will alarm if it is speeding, Low-battery alarm: It will alarm if the battery is low. Cold start: 42 sec., Warm starts: 35 sec., Hot start: 1 sec.